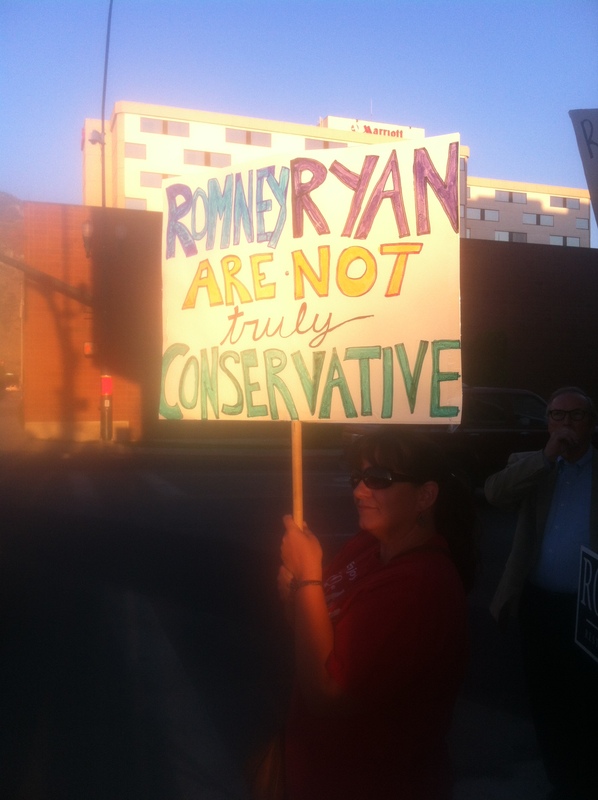 As Wisconsin Congressman and Republican vice-presidential nominee Paul Ryan had dinner with wealthy donors and spoke to local students in the new Utah Valley Convention Center in Provo, Utah, a small group of Libertarian protesters had their say on the sidewalk outside the event. 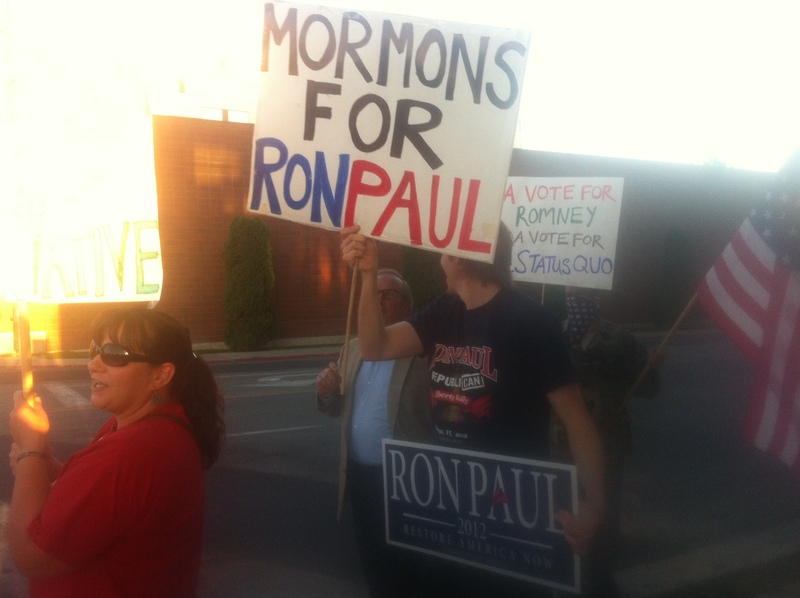 Mormons For Ron Paul! We don’t have to invent anything new. All we have to do is follow the Constitution. The Constitution tells us exactly what to do! On the other hand Mitt Romney and Barack Obama are dictators because they both support the illegal and unconstitutional NDAA (indefinite detention, NDAA is the exact same power that the Enabling Act gave to Hitler in 1933 Nazi Germany), Patriot Act (should be called the destruction of the 4th amendment act), undeclared wars, preemptive wars, welfare/warfare state, banks bailouts, TARP, stimulus spending, lying, cheating, stealing, etc., the national ID care, RFID chip, the IRS, income tax, and the Federal Reserve System. ALL of these are unconstitutional. There was no income tax before 1913. There was no Federal Reserve before 1913. 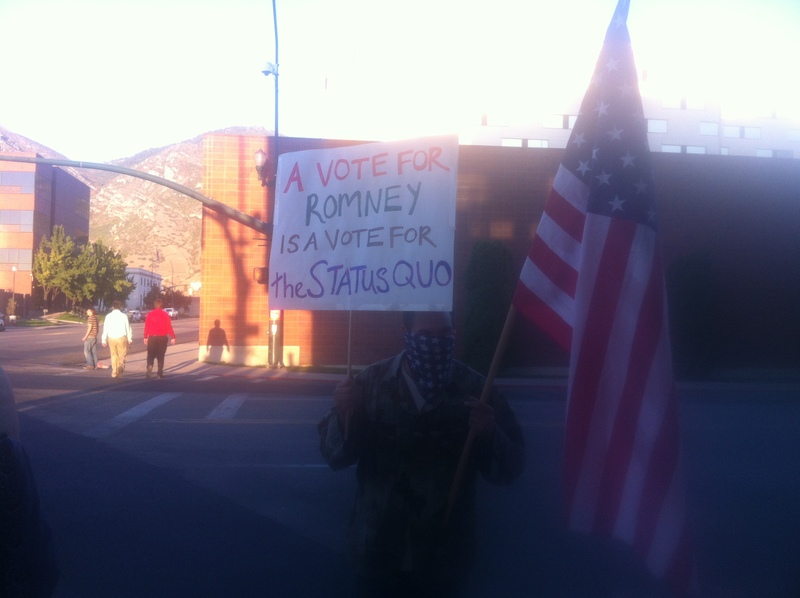 Obama and Romney are butchering our Constitution and our individual liberty. Here is a great Libertarian Mormon and Prophet of the Mormon Church using reason and persuasion instead of force to explain what God has constituted as the proper role of government. Awesome talk from Ezra Taft Benson! The truth always triumphs. ← How Long Will Innocent Children Be Slaughtered?